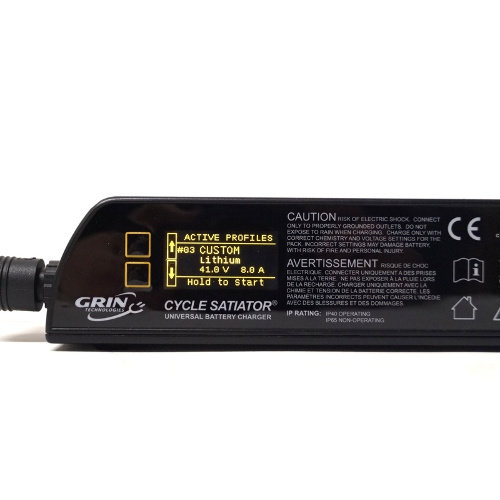 Grin Cycle Satiator Ebike Battery Charger AKA The Cycle Satiator® defines a whole new class of ‘smart charger’, one that gives you, as a user, dealer or OEM, full control to set up the optimal charging scenario for your batteries. 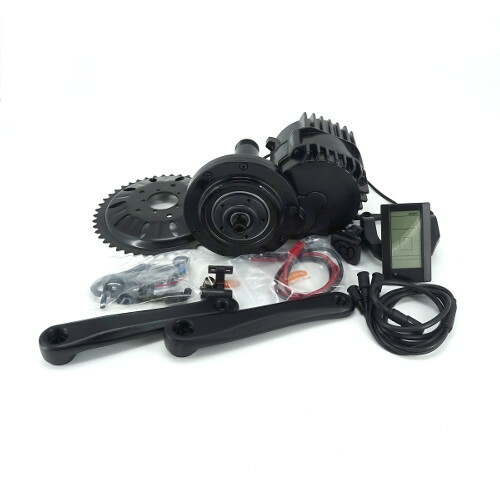 The Cycle Satiator is not limited to charging a specific battery type. 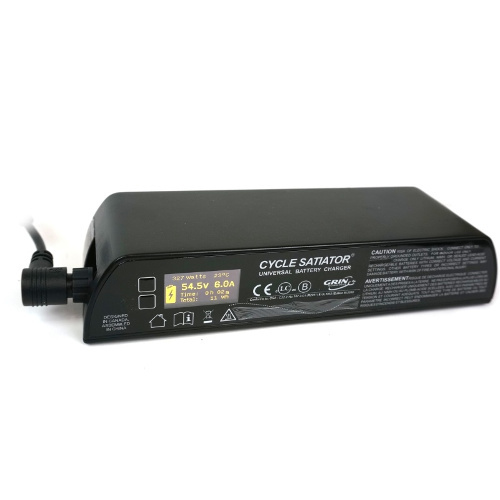 Instead this one charger model can be configured for virtually any lithium, nickle metal hydride, or lead acid battery pack with a full charge of 60V or less. 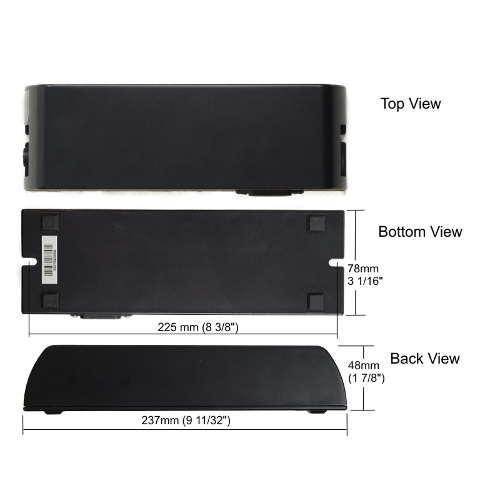 A gasketted enclosure and connector design strategy keeps the charger electronics protected in the face of rain, road spray, dust storms etc. AC input runs from 100-240v, allowing for worldwide operation without any voltage selection switch, and features a 0.99 power factor which will please your utility grid too. 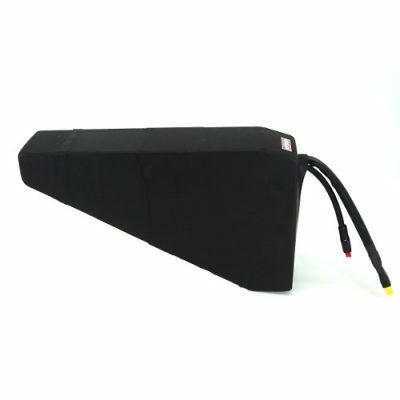 The rugged, compact, and fan-free design allows the charger to be permanently mounted on the vehicle without risk of premature failure from vibration or exposure. With a 360 watt power output, the satiator can charge your batteries in half the time of typical 4amp ‘fast’ chargers. 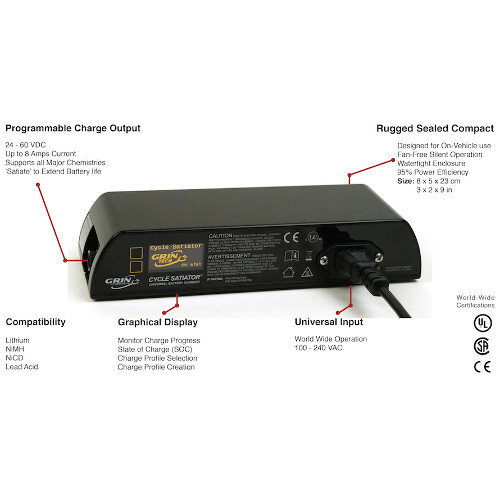 It delivers up to 8 amps with 24 and 36v packs, and 7 amps with 48v packs. No need for a different charger for each battery type, the Satiator can be programmed to work correctly with almost any packs on hand. select from one of our common pre-loaded profiles or make your own custom charge profiles. Have anywhere from one to dozens of pre-configured charging profiles active, enabling you to readily switch between output modes with just a quick button press. 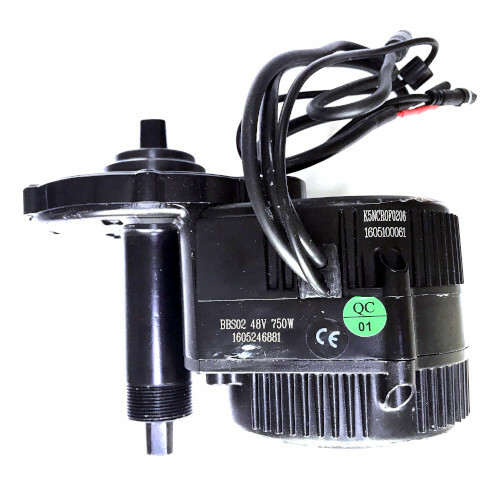 We offer a 1-year warranty on the Cycle Satiator from the date of purchase. With the Cycle Satiator, you can program your primary profile to give an 80% charge, and have a secondary profile that does a 100% charge when you need full range. Then have the best of both worlds, a battery that lasts thousands of cycles but still goes the distance when you need it. For more details, read here. 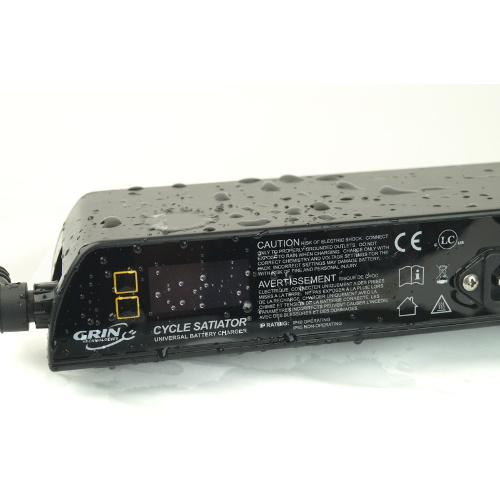 The firmware can be upgraded in the field, and along with the flexible custom profiles this means your Cycle Satiator is ready for whatever batteries the future has in store. The engineering and design team behind the Satiator are avid ebike users with years of experience in electric vehicle technology. This product is the charger they always wished they had, and we hope you feel the same way too. 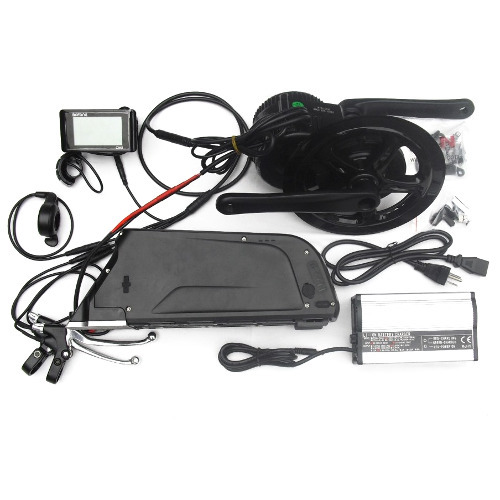 In addition to electric bike enthusiasts, this charger is of great value to ebike businesses that need to manage a range of battery packs, and for OEMs wanting to distinguish their vehicle with a rugged and modern full featured charger. This device is CSA, UL, and CE listed, meaning it has passed rigorous safety and reliability tests, and can be legally resold in most jurisdictions. The Satiator uses the common IEC connector for the AC input, which is the familiar plug used on computers and many other devices. 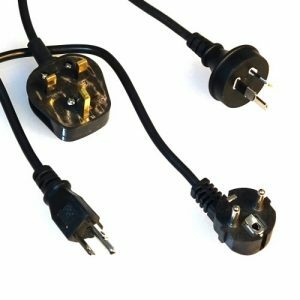 We include the matching cable for North American outlets, but do not currently have a supply of cable standards for other countries. 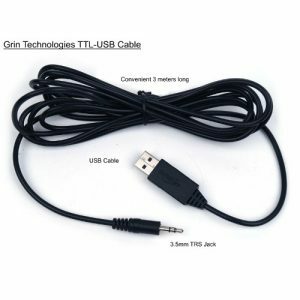 Being such a common cord you should have no problem finding one around the house or from any electronics store. 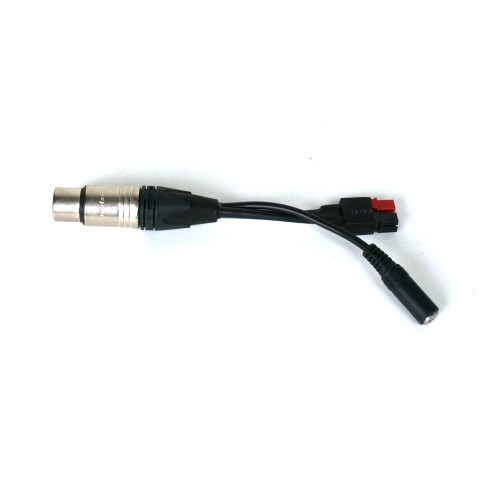 The DC output is connectorized via the waterproof Singatron 2ct3002-w03400 jack. Each Satiator includes a 1m long DC ouput cable that is terminated in a 3-pin male XLR plug. This is a fairly common connector for ebike battery packs, and is used by Allcell and eZee batteries as well as many turn-key electric bikes and scooters. Pin 1 is V+, Pin 2 is Gnd, and Pin 3 is for both temperature sensing (with NiCad/NiMH packs) and communications. An XLR to Anderson adatper converts the power leads to a pair of red and black anderson powerpoles, allowing you to charge a battery via this connector which is commonly used on the pack’s discharge wire. It also brings out the signal wire to a TRS jack. If you already have a TTL->USB cable for a CA, then you can use that on the Satiator instead, but it is essential to plug the TTL->USB cable into the charger before the charger is powered up from the wall. Otherwise, the CA’s TTL->USB c circuit can be damaged. The device sold with the Satiator is not vulnerable this way and can be plugged in any order. It requires the XLR to Anderson adapter. The satiator firmware is now accessible directly from the satiator software suite. So if you click “File->Check for new Firmware…” then the software will automatically find and download the most recent build. You then upgrade the firmware on the Satiator by clicking “File->Update Satiator Firmware…”. The current release is V0.916 (Jan 30th 2015). We’ve also produced a web application for creating custom charge profiles with the Satiator and simulate the charge times of various battery packs. This is especially useful for configuring custom partial charge profiles in order to improve the cycle and calendar life of your battery.